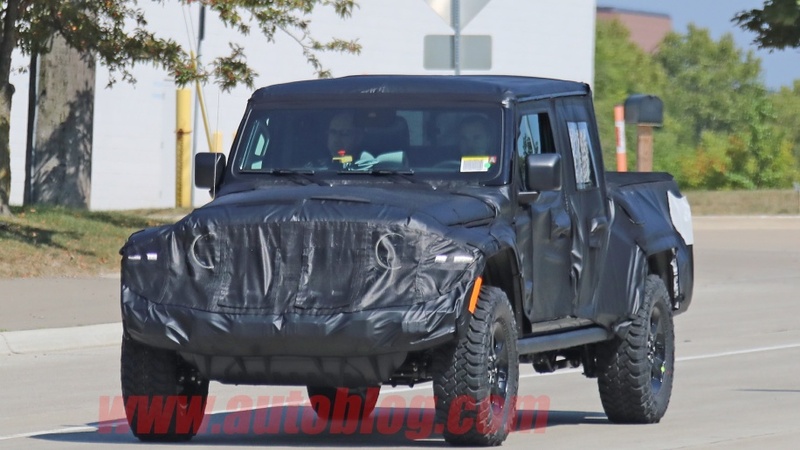 More Jeep Wrangler Scrambler spy shots have surfaced. This time we're looking at a pair of Scramblers that are far closer to production. The shot of the interior through the window is the first time a Scrambler has been caught with the new Wrangler JL interior — not the JK. This one has the black seats with red trim combo currently offered on the JL Rubicon. In addition to that, one of the trucks was sporting some knobby Falken off-road tires sized at 285/70R17. 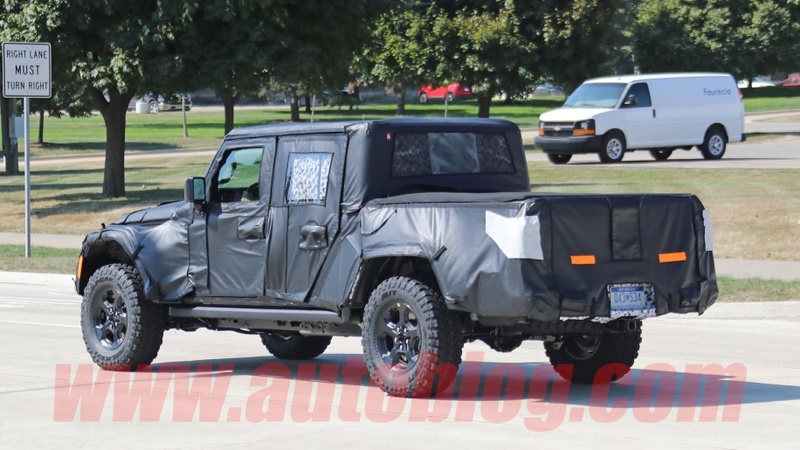 This plus the interior means we're most likely looking at a Scrambler Rubicon. The other Scrambler has normal road tires fitted, indicating a Sport trim. Off-roaders can rejoice even more too. Rock rails on both trims are new additions to the prototype vehicles — not even the broken up Scrambler we saw on the Rubicon trail a few weeks ago had rails. 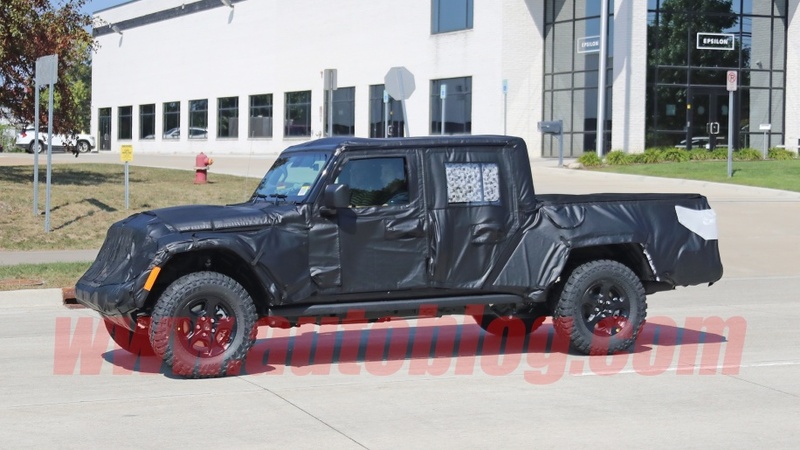 As a reminder, the Wrangler Scrambler pickup is expected to be based on a long wheelbase version of the JL Wrangler Unlimited. Engines choices will include the 3.6-liter V6, a diesel option and possibly even a hybrid eventually. It's no surprise the Scrambler keeps popping up in spy shots, as it's expected to be revealed later this year, then on sale in 2019. We'll be watching closely until then for more details as they leak, so stay tuned.